While a lot of the top 3D printer manufacturers continue to struggle to keep their stock prices afloat, the rest of the industry is doing surprisingly well. Low-cost desktop 3D printers continue to sell rapidly, primarily to small businesses looking to explore 3D printing technology without making major financial commitments. Additionally, large manufacturing companies are finding new ways to incorporate industrial 3D printing technology into their existing workflow in order to benefit from the ability to produce low-run or one-off parts faster and cheaper. As 3D printing technology improves, and new 3D printing technologies become more common, this trend of growth is expected to continue well into 2020.
International Data Corporation (IDC) published a new forecast report that shows a nearly 20% growth in 3D printer shipments in the United States in 2015 compared to 2014. They are predicting that the trend will be continuing well into 2020, with an expected compound annual growth rate of more than 16% annually. While sales to the consumer market are expected to continue to grow steadily, commercial and industrial applications will continue to account for a growing percentage of the overall 3D printing industry growth being predicted in the US. “People and companies that are adopting 3D printers are routinely realizing tremendous time and cost savings in their product creation and development cycles. As printer speeds increase and the range of materials expands, a growing number of products and parts, and therefore markets, will be impacted by 3D printing/additive manufacturing. Already the 3D printer mix in the U.S. has changed over the last 12-24 months. While there are still a lot of shipments into the DIY/consumer market, tremendous growth remains in the segments with a more professional and manufacturing orientation. 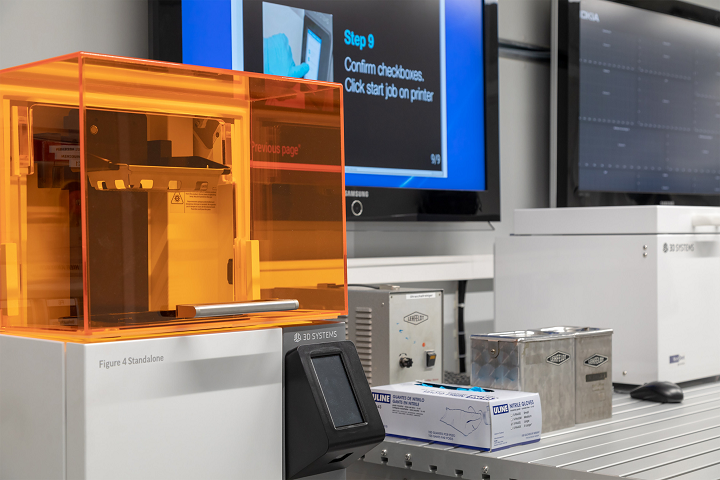 Leading 3D printer manufacturers are adopting new processes throughout their operations to reposition their businesses for this change,” said Tim Greene, IDC research director for Hardcopy Solutions. 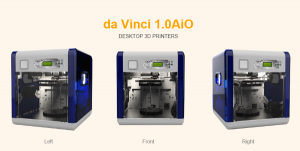 The da Vinci line of 3D printers from XYZprinting are currently one of the top selling desktop 3D printers on the market. The low-cost, sub-$1000 desktop 3D printer segment will continue to be a major driving force for growth within the industry, and is expected to grow at a rate of 12% into 2020. 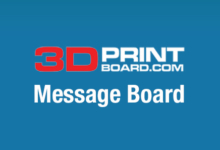 This segment is made up of primarily FDM technology, which is expected to continue to see new material options developed that will help optimize reliability and print quality. This will include the development of advanced materials that have commercial and industrial applications for the production of end-use, industrial-quality parts and components. A more significant segment to experience growth will be professional 3D printers, including various technologies that will offer higher-quality finished parts, often faster and more accurately than other manufacturing methods. Sales on the high end of the 3D printer market, primarily jetting, sintering and melting technologies, are predicted to grow at an aggressive rate of more than 20% annually through 2020. This will be driven by a growing number of companies using the technology to produce large volumes of professional prototypes and for on-demand 3D printed parts manufacturing. 75% of all 3D printing systems shipped in 2015 were printers that use FDM technology, however IDC expects that while sales of this technology will increase steadily their percentage of total printers shipped will drop down to 60% by 2020. 3D printers that use stereolithography (SLA) and other light-cured resin materials accounted for 11% of total 3D printer shipments in the US in 2015, but are predicted to account for nearly 20% of shipped 3D printers by 2020. Industrial applications, while accounting for the smallest percentage of the market, will show the fastest pace of growth in the coming years. The new MultiJet Fusion 3D printer from HP Inc.
Over the forecast period, the growth of the materials jetting technology segment is expected to be driven by global 3D printing market leading companies like 3D Systems and Stratasys, and with the release of their new MultiJet 3D printing technology, joined by HP Inc. The forecast period will also find significant growth of Sintering and Melting processes as existing high-end users increase their investments in these technologies. Additionally, new market entries are expected to lower the cost of investing in these technologies. Specifically, Mcor’s Selective Deposition Lamination (SDL) 3D printer technology has a new, lower price point that will reposition it in the market and encourage increased shipments of the technology. “The growth of the 3D printer hardware market is just part of the total 3D printing/additive manufacturing picture. Printer hardware revenue combined with the expansion of 3D printing services and the consumption of materials already represent a $2.5 billion market in the U.S. in 2015, and that is expected to grow at a rate of more than 20% through 2020,” Greene continued. The IDC report, titled U.S. 3D Printer Forecast, 2016-2020: New 3D Print/Additive Manufacturing Technologies Fuel Growth, details overall 3D printer shipments and revenues specifically for the United States 3D printer market. In addition, The report will also provide a comprehensive analysis of all 3D printer shipments in the US, including revenues broken down by technology type and price. The report will also be highlighting significant market developments, key market driving segments and potential market inhibitors. 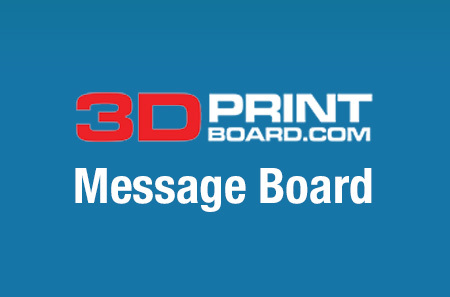 Discuss over in the IDC 3D Printer Shipments Report forum at 3DPB.com.